what is process validation? and Why the process is being validated in Pharmaceuticals? Number of batches for validation. The kind of effort expended for Process Validation is largely determined by organizational structure. Whether Process Validation is managed by a department, a consultant, or a committee, the criteria for the program are still the same. These criteria will be examined by the responsible individuals so that the program will be tailored to the character of the process under study. The following questions are recommended in developing a suitable validation protocol or plan. 1. What is being validated? Documentation of the IQ is important for QA so that the information will be available for future reviews by QA or the FDA inspector. There are three possible approaches that may be followed. First, the IQ information may be compiled as a stand-alone document to which other parts of the validation document would refer. The advantage of this approach is that the IQ doesn’t get tied to a specific process or product validation. The second approach would have each validation document stand alone, which would mean that the IQ information on the equipment and facility would be repeated for every validation report. The third approach would combine the other two approaches; namely, that the facility IQ would remain generic and the equipment IQ would be a part of the process/product validation document. Whatever approach is followed, the overall validation report must provide an effective QA tool. Quality assurance will thus strive to get the entire validation program documented in order to achieve it's short- and long-term needs. On the other hand, if the process must be validated in an existing facility, existing IQ and OQ information may be adequate. In this case, the validation protocol might merely refer to the data rather than require its regeneration, especially when a credible calibration/audit program had been performed for the facility and equipment after the initial IQ and OQ were performed. 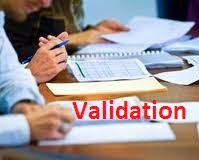 This part of the validation work thus might merely be referenced in the validation document. The next concern raised by the question is the determination of whether prospective or concurrent validation is appropriate. This decision should be based on the nature of the PV activity. For a new facility, there is only one possible decision; namely, prospective validation. When certain process changes are made, however, it may be appropriate to choose the concurrent validation approach. 2. Why Should the Process Be Validated? Personnel involved in the validation function will determine not only what will be in the validation protocol but also why the process will be validated. If a validation committee is responsible for the function, it will include personnel having varied backgrounds, such as production, engineering, process development, QA, and regulatory affairs. Likewise, the PV function would include personnel with these backgrounds or those who interact well with such individuals. It is important to avoid using a routine, predetermined menu when planning a validation protocol. In the ideal situation, the process development activities would dictate what tests would be included in the protocol and what ought to be the specification limits of the test results. Such activities form the basis for the data gathering because a large number of development batches, including the qualification and optimization trials, would clearly indicate why the specific parameters are being measured and why they indicate that the process is under control. When the validation protocol is the product of a multi-disciplined team, it should thus not become a self-serving exercise of any single function. For example, the QA function might accept the principles of testing for content uniformity, but then it might also introduce the concept that it wants all the test data to be within the product’s release limits so that the product’s shelf life stability would be ensured. This would thus give the group a broader reason for proceeding with this validation test, rather than merely looking for conformance to the USP content uniformity testing. 3. How Will the Process Be Validated? The answer to this question determines the detailed activities of the validation protocol. It will state what tests will be used to determine if the process is under control. Furthermore, it will answer other questions, such as: How precise must the test results be before the specification limits will indicate when the process is reliable? Should the worst-case scenario (e.g., a deliberate failure such as being at a level of 20% over the equipment’s working capacity) be included to ensure the validation of the process? How many batches must be manufactured before the committee will consider the process validated? Will the initial production batch be considered the final optimization or the initial validation batch? In addition to data gathering, QA will want the validation batches made entirely by the production department. When this stipulation is satisfied, it will be demonstrated that the process control is independent of the technical background of the operating personnel. This kind of approach demonstrates that the manufacturing process will support the soon-to-be-marketed product’s volume demands. This approach also allows QA to have a baseline activity with which it can compare future audit activities.